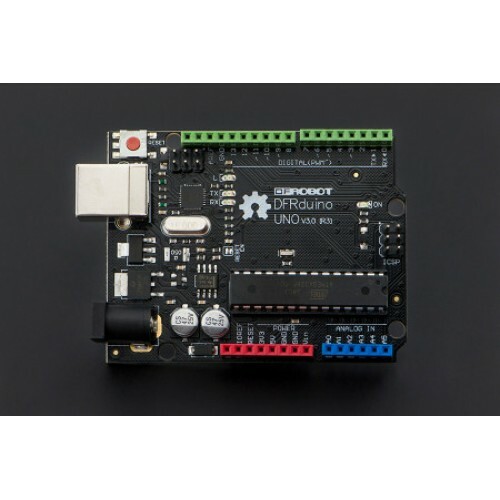 DFRduino Uno V3.0 from DFRobot is a physical world computing board of small size for academics or development . 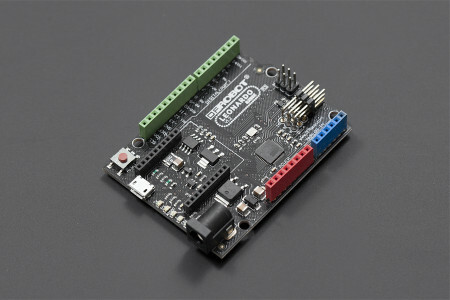 It is a simple microcontroller board fully compatible with Arduino UNO R3 and Arduino IDE open-source development environment. This environment implements the Processing / Wiring language. 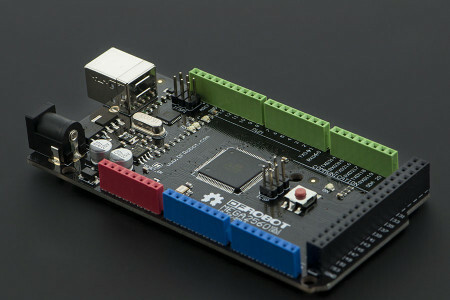 Arduino can be used to develop stand-alone interactive objects or can be connected to software on your computer (e.g. Flash, Processing, MaxMSP). The open-source IDE can be downloaded for free(currently for Mac OS X, Windows, and Linux). These colors match our sensor cables. This makes it really easy to figure out where to connect sensors, or to identify which side is Analog (blue) or Digital (green). 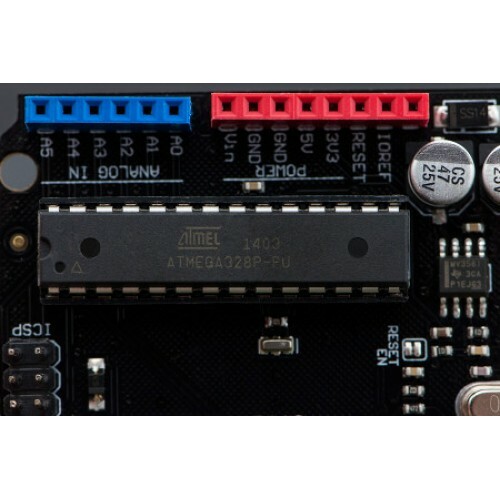 This board added SDA and SCL pins that are near to the AREF pin and two other new pins placed near to the RESET pin, the IOREF that allow the shields to adapt to the voltage provided from the board. 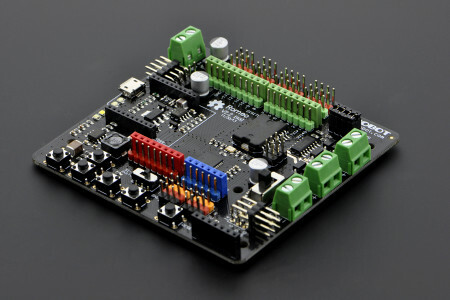 In future, shields will be compatible both with the board that use the AVR, which operate with 5V and with the Arduino Due that operate with 3.3V. 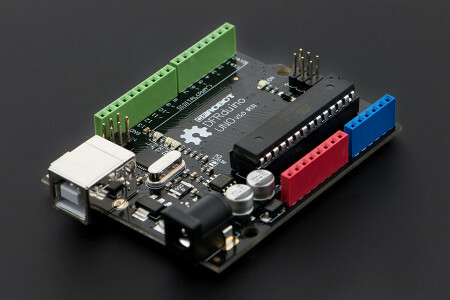 The second one is a not connected pin, that is reserved for future purposes. How To Make Arduino Bluetooth Tank with Custom Android Application (V1.0)? How to Make A Terrifying Halloween Gadget? 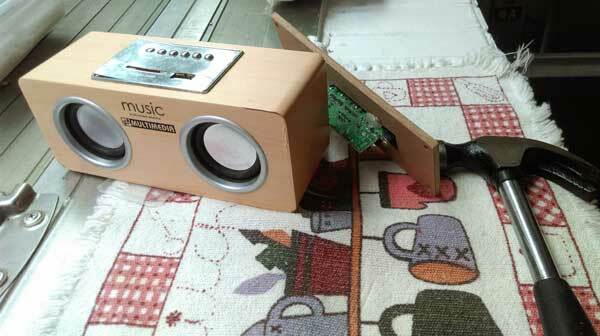 How to DIY an Indoor Carbon Dioxide Detector? When finishing reading this tutorial, you will find those very simple devices, principles and technologies can help you build very interesting equipment.